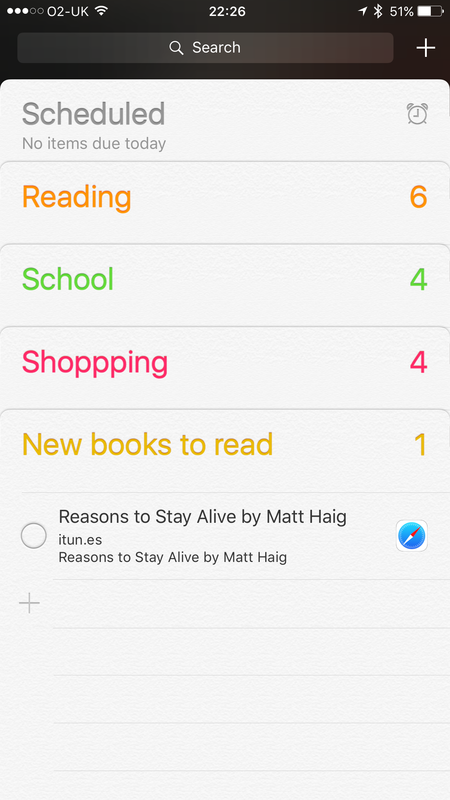 image	Using Siri to be more organised. I’ve joined #weeklyblogchallenge17 on Twitter in the hope that I might blog more regularly (weekly). I’m slightly daunted by posting weekly, especially as my blog is tech/eLearning/computing, but here goes. Post number 1 (yes I know I’m late, sorry). If you’re like me then every year you make the same resolutions. It’s the same thing every year. 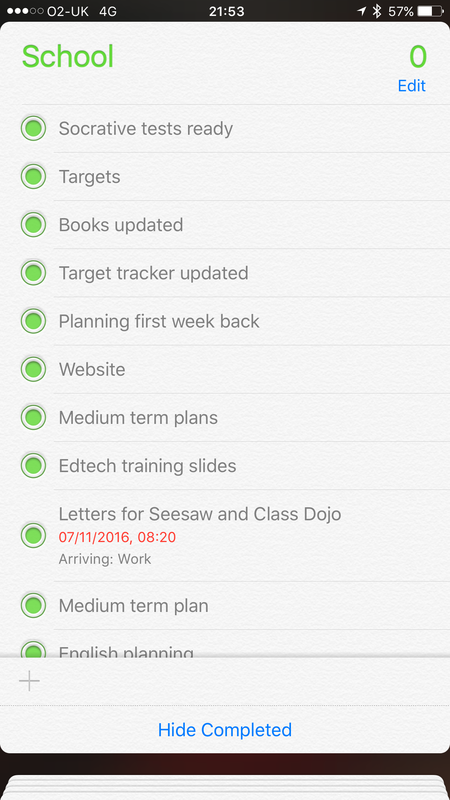 This year I’ve struggled staying organised, becoming very forgetful. Maybe it’s old age, maybe it’s because I’m doing more than I’ve ever done in my role at school, maybe it’s because I procrastinate and I’m easily distracted, who knows? But I promised myself i would tackle it (not sort it). And a few little tools have really helped me. Enter my good friend Siri. 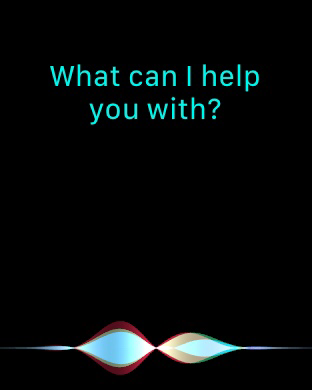 I seldom used Siri before I got my Apple Watch. Now he’s my friend. I talk to him while I’m walking, driving (play The Kinks/Bruce Springsteen is my favourite) and marking books (make a note to recap/address…). I talk to him during lessons (pick a number between 1 & 30 is my favourite random child selector, I numbered them via the register). But the best thing Siri has done for me in the past 6 months is reintroduce me to Reminders app. 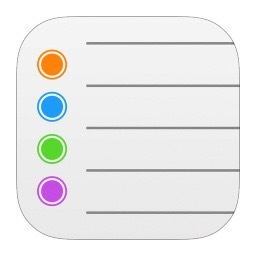 The reminders app must have had a revamp, I don’t remember it being this good. Tick lists for when jobs are completed, different lists for different things such as school, shopping, important jobs. But my favourite bit is the ability to remind you to do things at certain times or, wait for it….certain locations. I am a nightmare for remembering to do anything at all, not just important stuff. By setting your work address in My Card section in contacts, Siri will remind you when you arrive. Brilliant for me as my wrist vibrates, I glance down, am instantly reminded and can snooze so it reminds me again if it’s not convenient, or address it there and then. Perfect. 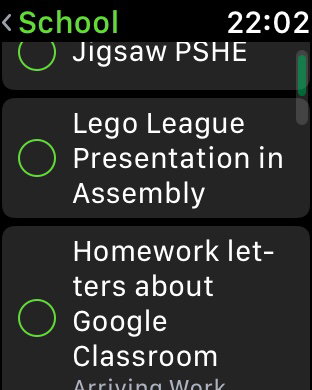 Reminders also syncs with your calendar to input and recall certain events, which is a godsend, especially when it’s synced across all devices (my watch, iPhone, iPad and MacBook Air). I’m also using the great IFTTT app to streamline tasks such as photo transfers, important emails and linking class Twitter accounts to the school Facebook page, but that’s another post for another time. I’m a week into the new year, more on top of things and I’m managing to get more jobs completed. It’s a nice feeling, one I hope continues. So I can try to keep to my other goal – to read more (I’ve just finished the magnificent Cogheart by Peter Bunzl, it’s a must read, especially if you teach in UkS2). In bed by 10pm, here I come! Give it a shot, it’s simple and incredibly useful. Next Encouraging staff to embed technology in the classroom: the birth of the Magnificent 7.